Generally, we enjoy having choices. We like to choose our outfits, jewelry, and hairstyles. Dental treatments are no exception. Patients enjoy having options when considering treatments to restore health and beauty to their smiles. Thanks to advances in orthodontics, patients have several choices for treating misaligned or crooked teeth. They no longer have to resort to metal braces for two to three years to achieve the smiles of their dreams. At David Spilkia Family and Cosmetic Dentistry in Philadelphia, PA, we provide two alternatives to traditional orthodontics – Invisalign and Six Month Smiles. Both treatments are appealing to teenagers and adults. At David Spilkia Family and Cosmetic Dentistry, we strive to provide the treatment that will be the least disruptive to your lifestyle. With Invisalign, patients receive a set of customized clear aligners that are numbered in the order they should be worn. The aligners are changed every two weeks and patients visit Dr. David Spilkia about every six weeks to check progress. Invisalign allows patients to participate in sports and play instruments without restrictions. In contrast, traditional metal braces can irritate the cheeks and gums and eliminate playing certain sports. Some people who have metal brackets and wires risk cutting their lips when playing instruments. With Invisalign, you can remove the aligners for your favorite sports or hobbies. In addition, the aligners are removed for eating, brushing, and flossing. Treatment usually lasts 12 to 18 months but can vary based on the specific case. 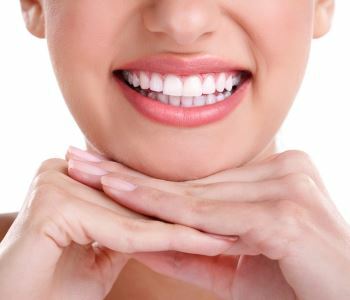 If patients are concerned about the appearance of the teeth that show when smiling, Six Months Smiles may be ideal. For mild to moderate tooth misalignment and spacing issues, Six Month Smiles treatment can deliver optimal results. True to its name, patients can usually achieve straighter teeth and renewed confidence in just six months. The cosmetic braces offer several benefits such as aesthetics. The wires are designed to match the tooth color, and the brackets are virtually unnoticeable. Therefore, Six Month Smiles can be a great alternative to metal braces. Do you want to know which alternative to traditional orthodontics is right for you? If you do, we recommend scheduling a consultation with Dr. Spilkia to explore your candidacy for treatment. If you are a candidate for Invisalign or Six Month Smiles, he will tailor a plan to meet your needs. Go after the smile you have always wanted by calling (267) 463-2777 today.